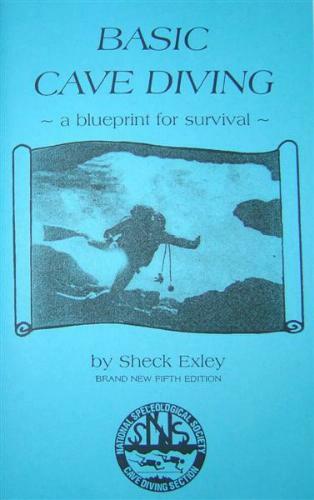 Most (all should) cave divers subscribe to the following 5 basic rules of accident analysis that were first published in Basic Cave Diving: A Blueprint for Survival by Sheck Exley. But how did these rules come to be? Sheck conducted a careful study of cave diving fatalities from the 1960s and 1970s and he discovered that, in almost every instance of a cave diver death, the death could be attributed to one of 3 reasons. A short while after Sheck's study, Wes Skiles, who was serving as the Training Chairman of the National Speleological Society Cave Diving Section (NSS-CDS), also conducted a study. Wes's study agreed with Sheck's but added two more factors that, while not directly responsible, contributed greatly to cave diving fatalities. To me, times are changing in the cave diving community. The "Golden Age of Exploration" has come and passed and the "Golden Age of Cave Training" is whimpering out. Over the past decade, cave diving has seemed to become simply a "rite of passage" for those that viewed cave training as simply another SCUBA diving certification card. The steady decline in membership of the National Association for Cave Diving (NACD) and the Cave Diving Section of the National Speleological Society would tend to support my opinion; these agency's membership numbers peaked between 2007 - 2009. Hopefully, the future of cave diving holds great promise and great discovery. I look forward to talking about exploration to those that are in it for the curiosity of the unknown vs. extolling the "sage advice" passed down from yet another cave instructor. As my personal mantra states, "if you don't go; you won't know". I am interested in hearing what other cave divers rules are; please feel free to e-mail me or contact me via Twitter.